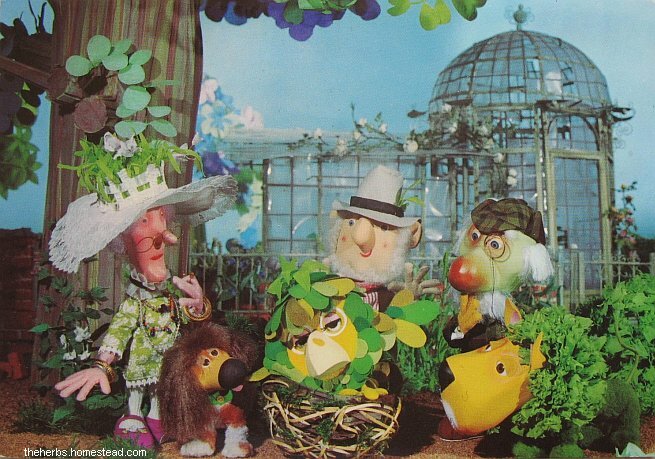 The Herbs.Parsley the Lion.BBC kids tv by Michael Bond. By Paddington Bear author,Michael Bond. BBC tv animated contemporaries of Trumpton & The Clangers. Huntley & Palmer,Chad Valley,Dinky,Suchard,Letraset and more on the spin-off merchandise page.